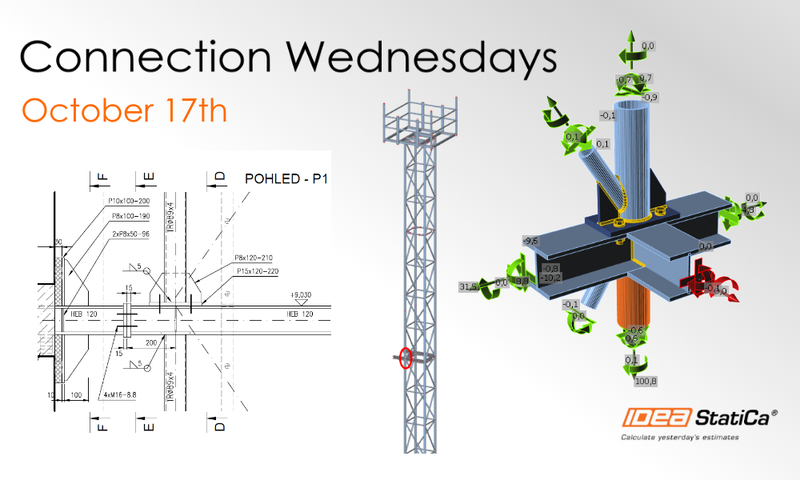 We would like to remind you that there will be a new Connection Wednesday webinar next week. The webinar will take place this Wednesday, October 17th in two sessions during the day. Customer project: Anchoring joint of a steel broadcast tower – Design and code-check of a complicated joint connecting the tower anchoring beam with the rest of the construction under many load effects. HelpDesk highlight: Explanation of the results – Lost in results explanation and options? We will discuss the possibilities and tricks in results browsing.